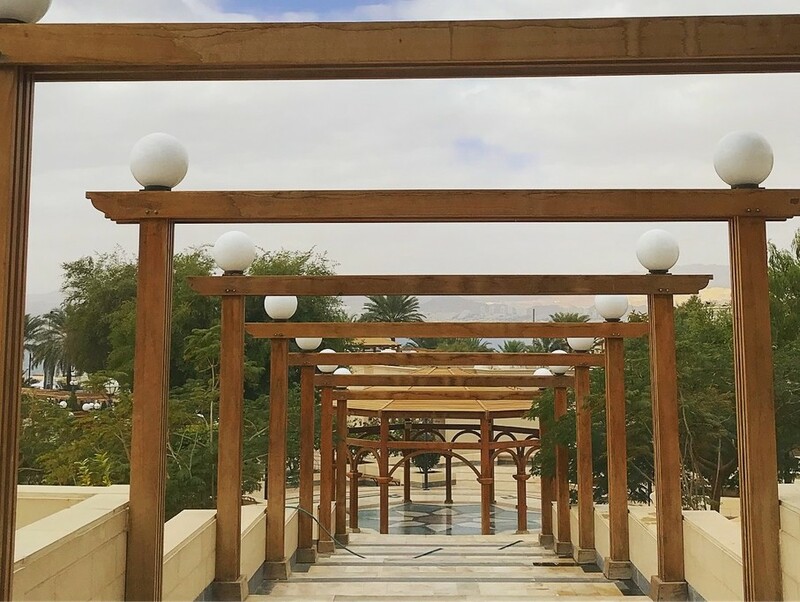 Arrive at Jordan's Queen Alia International Airport first thing in the morning, and get excited for the day of adventure ahead. 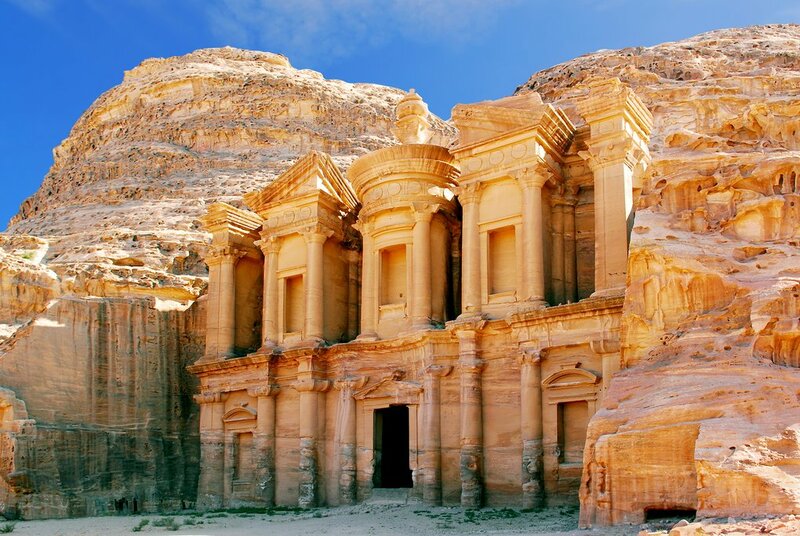 One of our trusted representatives will be available to assist with the immigration process, after which you'll be driven to your first stop: the ancient city of Petra. 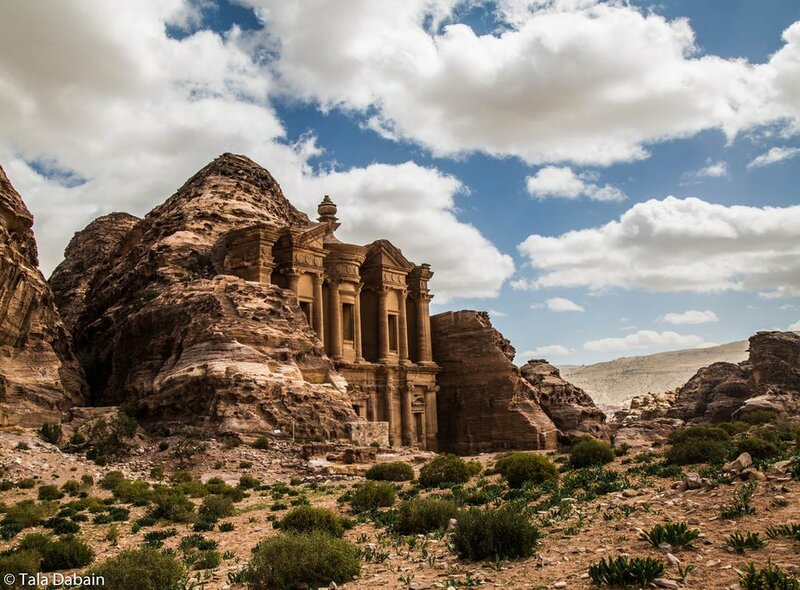 Marvel at the beauty of the most visited archeological site in Jordan, where you can wander for hours among its countless caves, tombs, and structures meticulously cut from the naturally occurring rose-colored rock walls. 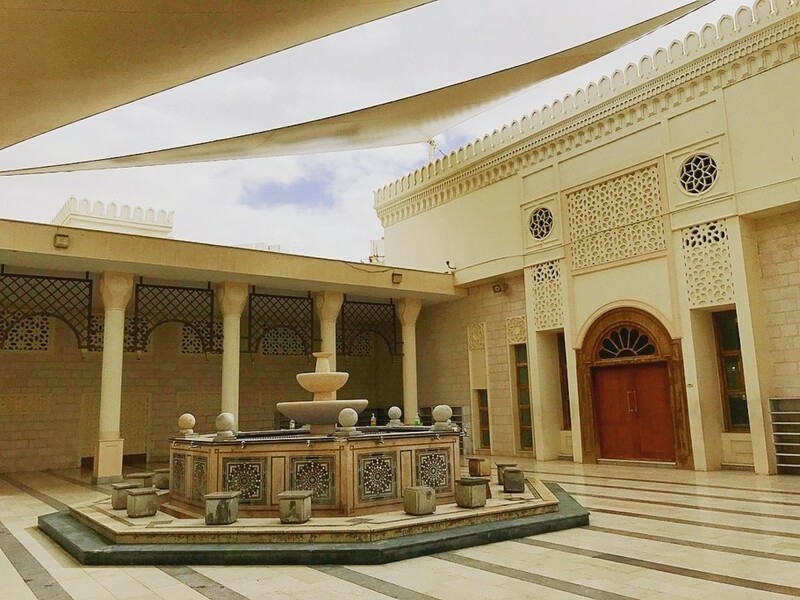 Navigate the impressive water conduit system of the historic Nabatean city, aptly named one of the Seven Modern Wonders of the World, and pay a visit to Qasr al-Bint, a grand temple that was once the population's primary place of worship. 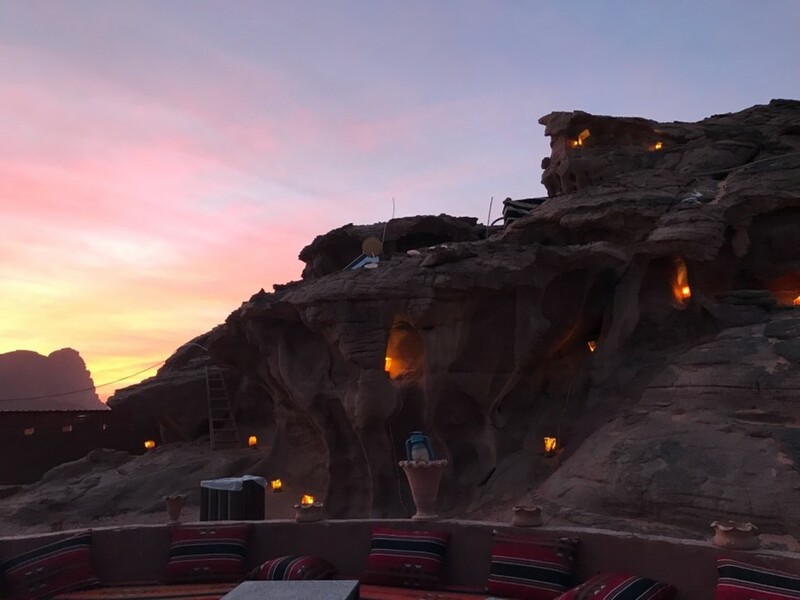 Get settled at your hotel in the village of Wadi Musa and enjoy some much-deserved downtime before returning to Petra for a captivating nighttime tour of the area's architectural wonders. From the Siq's astoundingly high walls to the pristinely preserved edifice of the Treasury, everything will appear transformed by the light of hundreds of candles in the place often said to be "half as old as time itself." 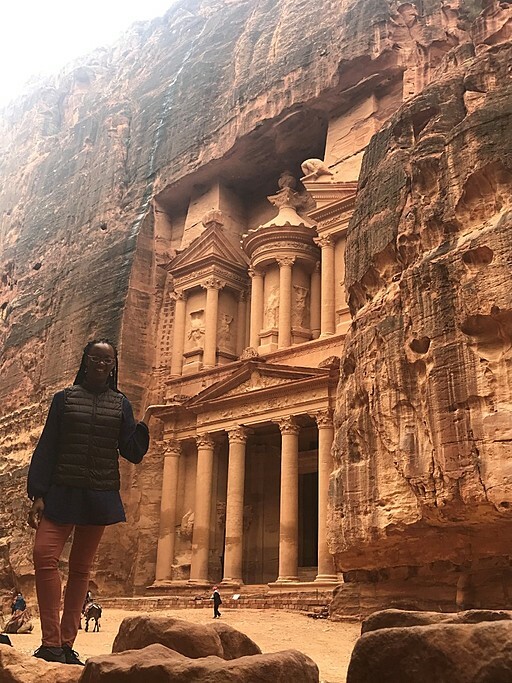 Petra is seemingly endless, and you'll start the day with a few more hours of exploration in the dazzling Rose City. Take a stroll down the Street of Facades, a row of forty houses and easily accessible tombs with ornately carved exteriors, or hike up to the High Place of Sacrifice, where you can get an up-close look at its famous obelisks and sacrificial platform - all while surrounded by panoramic views of the rocky desert below. You might also trek (or take a donkey ride!) up the 800 steps to The Monastery, a gigantic mountaintop temple. 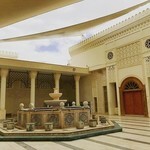 On the way, you’ll pass Qattar ad-Dayr, a pleasant, oasis-like grotto where water always flows, and the Hermitage, a pinnacle carved with decorative crosses. The Monastery itself is the largest monument in Petra, and after you take a peek at its plaza and massive interior, reward your effort with a snack at the nearby café. 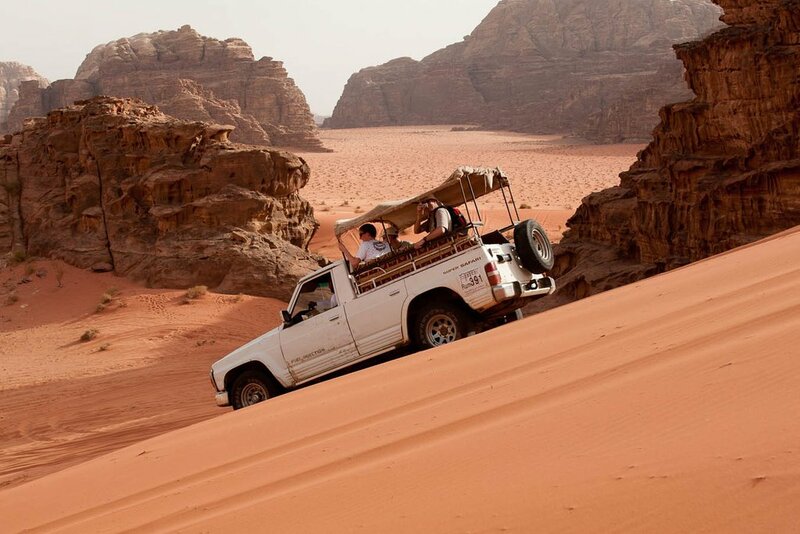 After getting your fill of Petra, continue south to the wilderness of Wadi Rum, an expanse of desert made even more intriguing by the huge basalt slabs jutting prominently out of the sand. 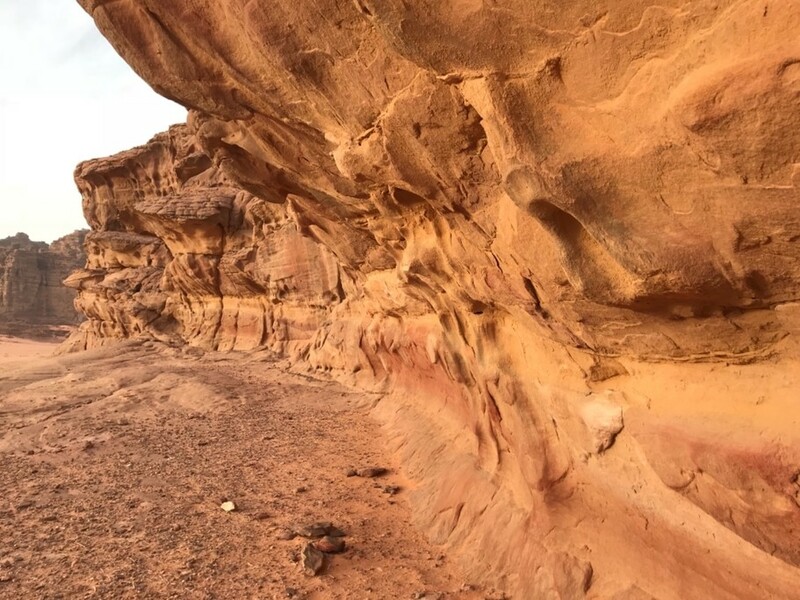 You'll explore canyons, rock bridges, and rolling dunes from your Jeep on a four-hour tour of the area, stopping periodically to hunt for rock inscriptions or snap photos with the surreal natural backdrop. With a full day of activity under your belt, you'll be more than ready to relax back at camp, enjoying the hospitality of the Bedouins before falling asleep beneath a blanket of stars. Wake up well-rested after a cozy night of camping, taking in the majestic desert scenery one last time with a hot beverage in hand. 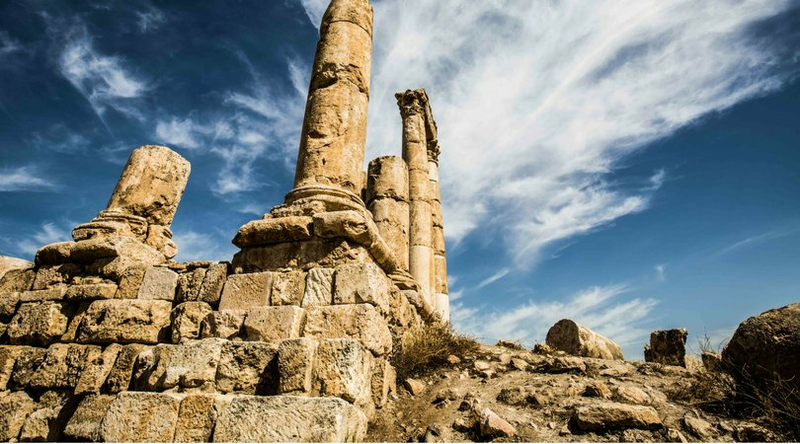 From there, you'll travel back to Amman for an extended walking tour of the Old City, starting with the famous Citadel and the Roman Theater - two of the region's best-known attractions. 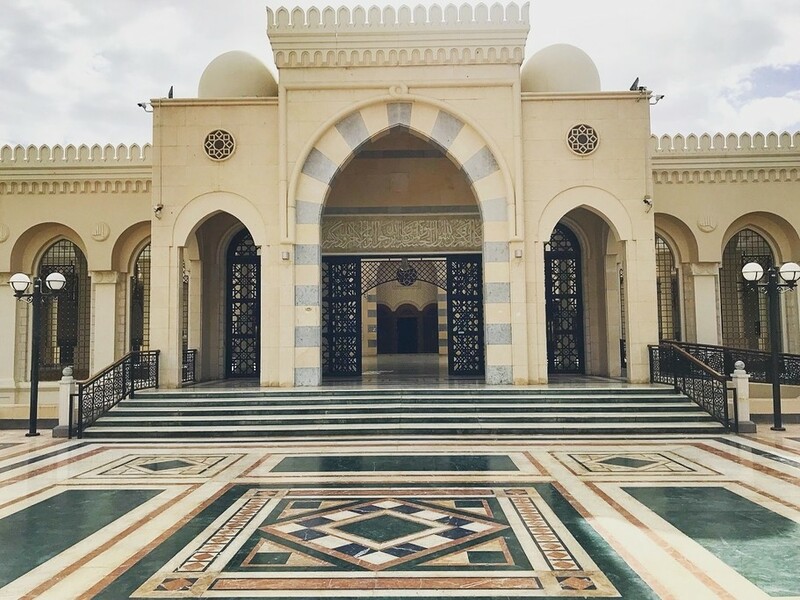 See the capital of Jordan from a local's perspective as you're guided through back streets, colorful food markets, and tiny shops full of handmade crafts. 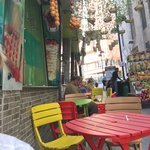 Have lunch at a local restaurant, one of your last opportunities to savor traditional Jordanian cuisine like mansaf - an aromatic meal of roasted lamb and yogurt sauce, widely regarded to be the country's national dish. 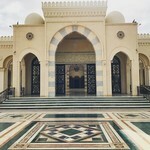 Make a stop at the impressive King Abdullah Mosque, and spend the rest of your afternoon checking out the charming contemporary art galleries of Jebal Al-Waibdeh or hanging out in the pubs and shops on Rainbow Street. 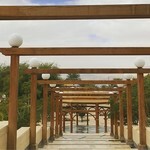 On your last morning in Jordan, enjoy breakfast at the hotel and pack up for your journey home. Depending on your departure time, you may be able to squeeze in some exploration and last-minute souvenir shopping before heading to QAIA, where you'll catch your return flight. 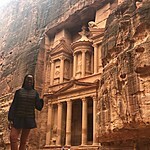 Petra was great and we all enjoyed that. 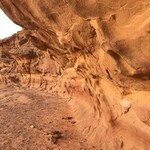 I was disappointed with Wadi Rum and the organization/lack of information of what we were doing and its duration. 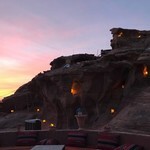 For example, we were told we should leave Petra early to get to wadi rum, thinking there was a lot to do. After getting there around 11, we sat around for over an hour not knowing what was going on. We then went on our jeep/camel ride for a few hours and got back around 4 with nothing to do til dinner. Our driver told us he was picking us up the next morning around 6 to do a 1 1/2 hour jeep ride then a 2 hour hike. We woke up at 6 and then told there was a booking issue to see if we could pack up and move our stuff to a different tent. On our ride, the jeep broke down and were stuck for 1 1/2 hours before the replacement jeep came. At that point we were not in the mood to drive another 1 1/2 and hike in the heat of the day which was the whole point we left early. So when we got back we had nothing to do for the whole day and thats why we called our agent to go to Amman earlier. 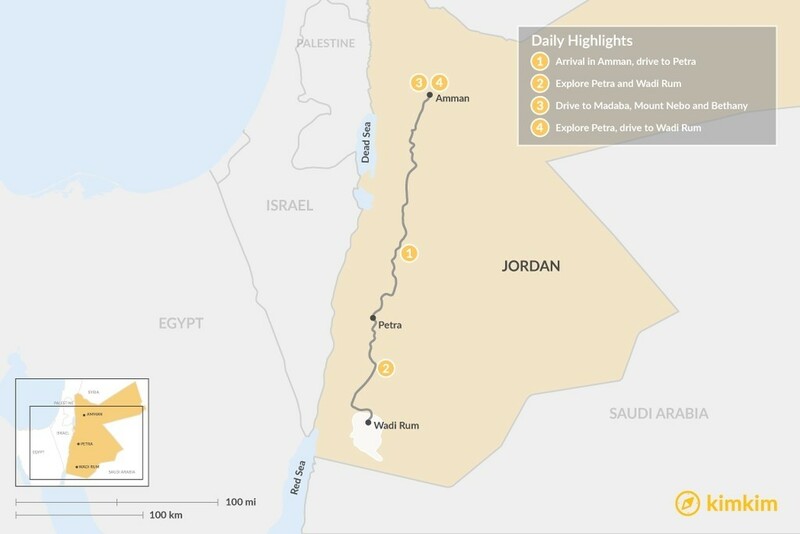 I just felt that if we had known how long that hike/jeep ride was and that we would be doing it in the morning, we wouldn't have stayed an extra night at the camp and went to Amman early and saved the expense of the extra car ride/hotel cost. I had a great experience with kimkim. The chat is great and made it very easy to book everything. Imke was extremely helpful since the first contact. She accommodated all our changes and answered all my questions. I was quite happy with the support and overall service.